Could be introduced at a later date. 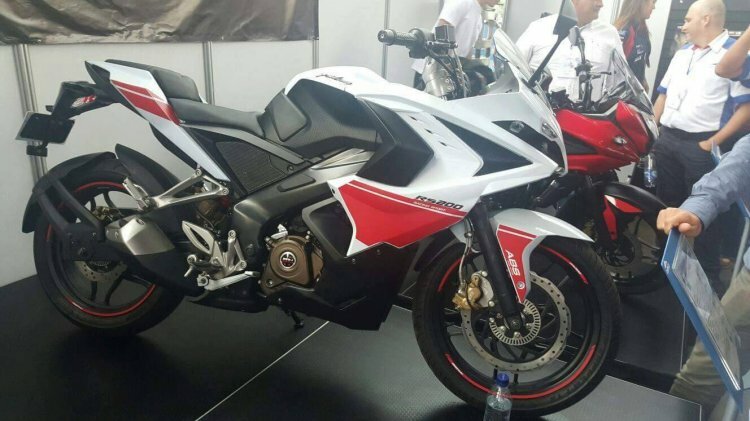 These images of a Bajaj Pulsar RS200 in a Red-and-White color combination are from Colombia, one of the Bajaj Auto's major export market for the Pulsar series. Snapped at a trade-show, they show the Pulsar RS200, what is still Bajaj Auto's fastest Pulsar ever made, in a new color theme hinting that the company may be looking at feedback before launching the shade. Black and Yellow are the only colors offered on the RS200 in the Indian market. The Bajaj Pulsar RS200 in the Indian market is available in two shades - Demon Black and Yellow. Available in ABS and non-ABS variants, the Pulsar RS200 is priced at INR 132,499 and INR 120,496 ex-Showroom, New Delhi, respectively. Power for the Pulsar RS200 comes from a single-cylinder 199.5 cc four-stroke, liquid-cooled, triple-spark, fuel-injected unit developing 24.5 PS at 9,750 rpm and 18.6 Nm of torque at 8,000 rpm, paired to a 6-speed gearbox. A single-channel ABS system is optional on the RS200. A telescopic fork with anti-friction bush and Nitrox mono shock absorber with Canister handle the suspension duties and a 300 mm disc up front and 230 mm disc at the rear round up the stopping power. 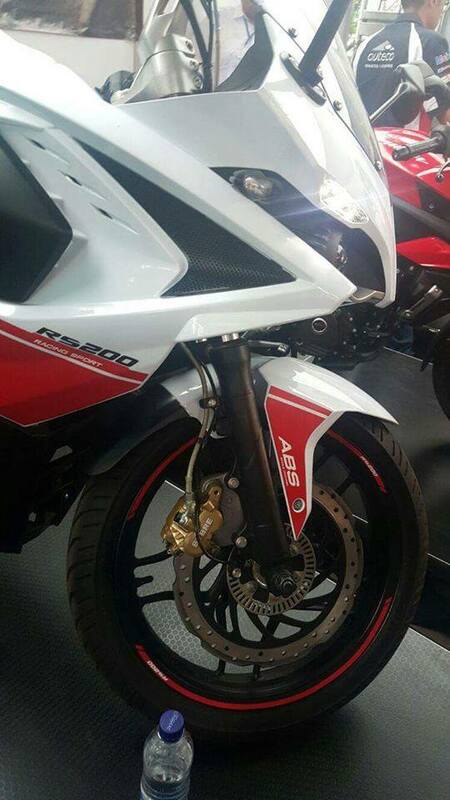 Bajaj claims a top-speed of 140.8 km/h for the Pulsar RS200. The RS200 is shod with 100/80 and 130/70 tyres (front and rear respectively), though the ABS system is a single-channel unit.